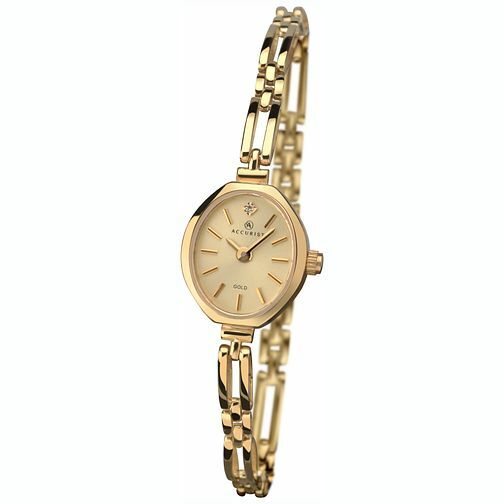 This timelessly elegant Accurist women's luxury watch is bound to turn heads. It features a 9ct gold bracelet and 9ct gold case with scratch resistant sapphire crystal glass,complemented perfectly by a stone set champagne sunray dial. Includes a 2 year guarantee.